The last time anyone looked on Dawn's face was 9,000 years ago. 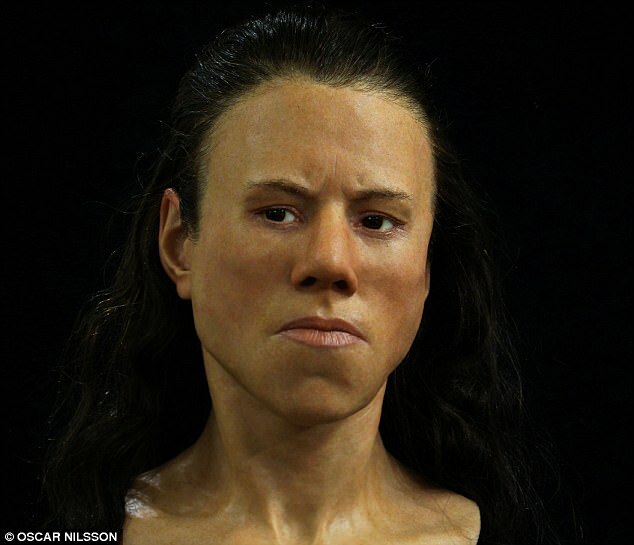 Now the teenager can be seen again, after scientists reconstructed her face to show what people looked like in the Mesolithic period, around 7,000 BC. And, according to the experts, this included more 'masculine features' – for both men and women. It's thought that Dawn (known as Avgi, in Greek) was around 15-18 years old when she died. 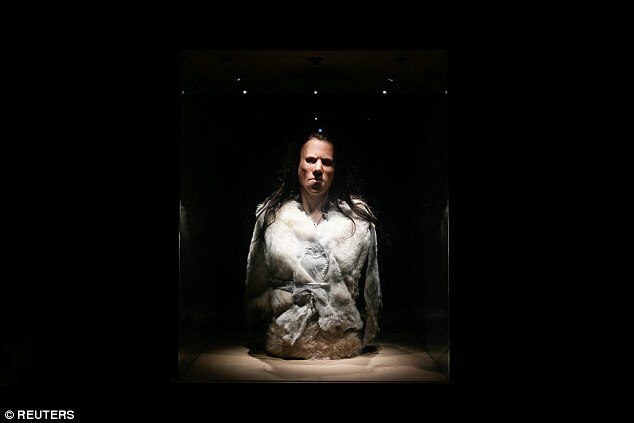 'Avgi has very unique, not especially female, skull and features,' Swedish archaeologist and sculptor Oscar Nilsson explained, according to National Geographic. 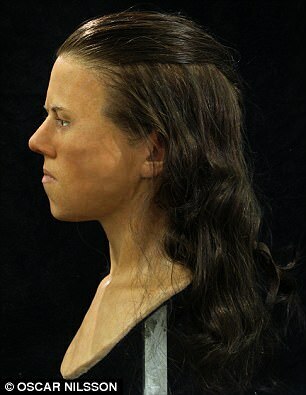 The sculptor has previously brought several ancient humans back to 'life' through stunning reconstructions, including an 11-year-old Athenian girl named Myrtis. But, unlike Myrtis, some of Dawn's features are strikingly different than those common today. 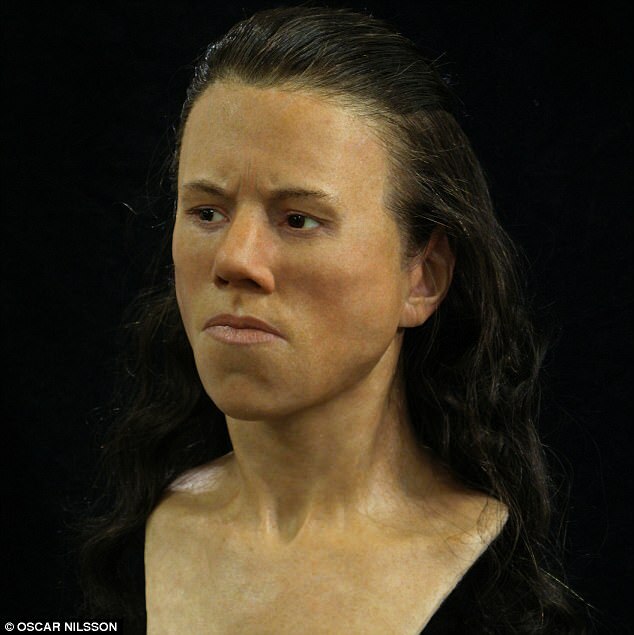 'Having reconstructed a lot of Stone Age women and men, I think some facial features seem to have disappeared or "smoothed out" with time,' Nilsson said. The incredible new reconstruction was unveiled at the Acropolis Museum on Friday, by a team of researchers from the University of Athens. But, as some have noted, 'Dawn' doesn't look very happy. 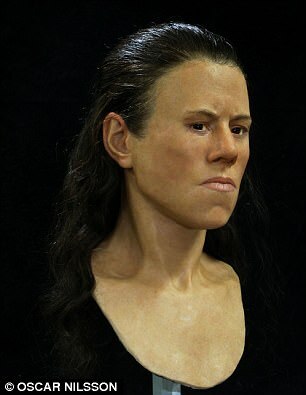 She has a protruding jaw, thought to be caused by chewing on animal skin to make it into soft leather - a common practice among people of that era - and a scowling expression. Dawn was possibly anemic and may have suffered from scurvy, the researchers said. Evidence also pointed to hip and joint problems, which may have made it difficult for her to move and may have contributed to her death. An analysis of her bones and teeth has helped researchers pinpoint around how old she was when she died, with the evidence suggesting she was aged between 15 and 18. Theopetra Cave, in the Thessaly region, was first inhabited about 100,000 years ago, according to the Culture Ministry. Stone tools from the Palaeolithic, Mesolithic and Neolithic periods have been discovered, as well as pottery from the Neolithic period. 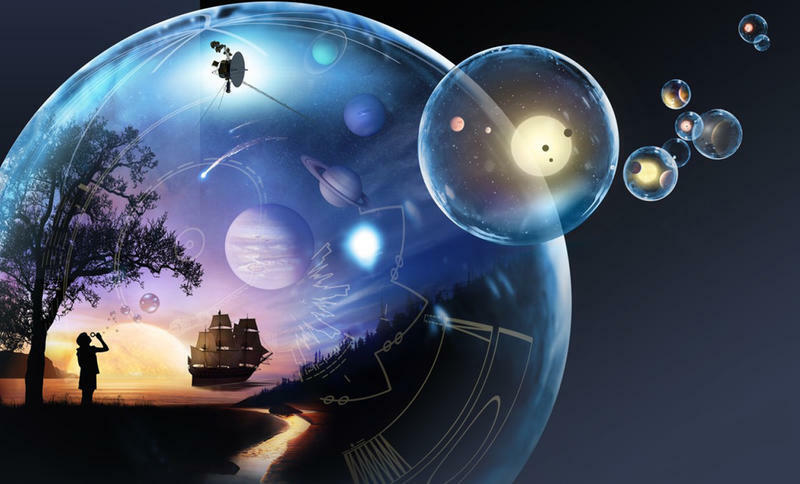 That's the particular scientists perception of the face. How do you put a jaw in position, to show anger, and the muscles of a face together, when there's none, anymore? No ligaments, no muscles to show the frown? It's been noted that Face Reconstructions differ from scientist to scientist. What one presents as the face, another will show the appearance very differently. Not too hard to imagine since even you sound angry. Just mad for no reason. She had it harder.